Photo showing recreated Patriot Militiamen of the American Revolution in various states of undress. John W. Penney. 2011. The American Revolution was an epic political and military struggle waged between 1765 and 1783 when 13 of Britain’s North American colonies rejected its imperial rule. The protest began in opposition to taxes levied without colonial representation by the British monarchy and Parliament. As the political disagreements grew, they triggered a perpetual cycle of defiant acts and punitive laws that led to open rebellion. With the assistance of France, the American colonies were able to defeat the British, achieve independence and form the United States of America. From 1754 until 1763, the British colonies and France fought an expensive land war on the North American continent known as “The French and Indian War.” To recoup these expenses and raise funds to replenish their coffers, the British government enacted a series of new taxes. Until the Stamp Act of 1765, some taxes were proposed, and others were enacted and withdrawn. This was the first tax imposed directly on the 13 American colonies. 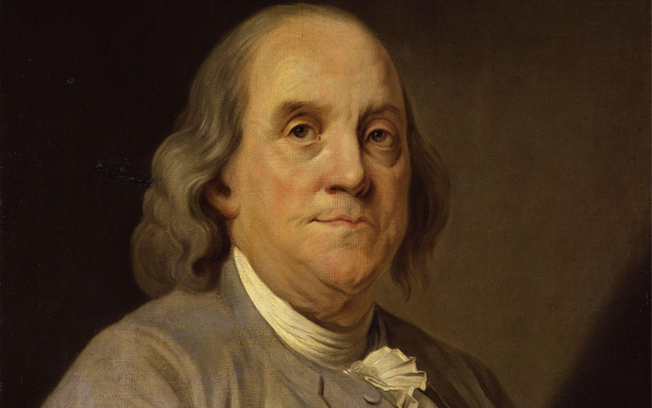 Benjamin Franklin testified before Parliament that the tax was too high and that the colonies had already done more than enough to support the French and Indian War. That same year, the group known as the Sons of Liberty was established. In 1767, Parliament imposed the Townshend Acts, which placed a duty on several essential goods, including tea. A year later, the Liberty, a sloop owned by John Hancock, was seized on suspicion of smuggling. The growing unrest following this event led to the Occupation of Boston by British troops in 1768. The tensions in Boston came to a head on March 5, 1770, as a mob gathered around a group of soldiers guarding the Custom House. The unruly protestors threw snowballs and other debris at the soldiers. Amid the chaos and without a direct order, the soldiers fired into the crowd, killing five men and wounding six others in what would be known as the Boston Massacre. 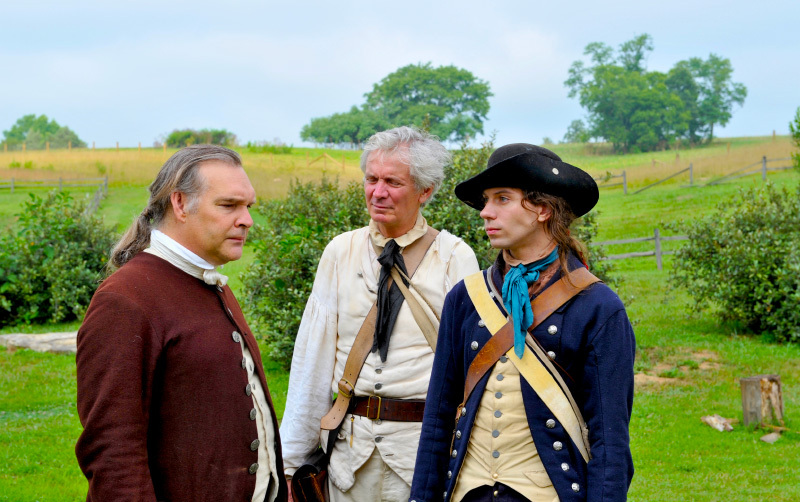 John Adams successfully defended the soldiers, but patriots like Samuel Adams, John’s cousin, used the event to garner support for the independence movement. The Tea Act was passed in 1773 to financially assist the struggling British East India Company (EIC) by placing a small tax on tea. Many colonists opposed the tax and continued to support James Otis Jr.’s position of “taxation without representation is tyranny.” The EIC secured passage of the tea via consignees in the American colonies. Seven ships were sent to the colonies carrying the cursed tea. While attempts in other cities were successful to send these ships back to England, three ships landed in Boston. Over a three week period, many town meetings were held to discuss the volatile standoff between citizens and Governor Hutchinson. 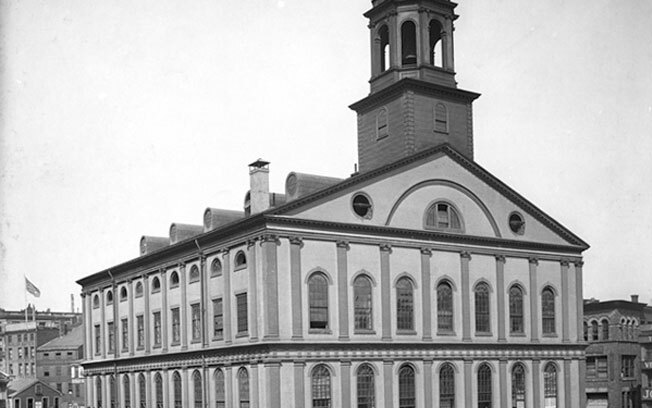 On December 16, 1773, the final town meeting moved from Faneuil Hall to Old South Meeting House because of the overwhelming crowd size. Numerous speakers, including Samuel Adams, debated the issue. Toward the end of the meeting, after sensing no resolution, the crowd headed to Griffin’s Wharf. Members of the Sons of Liberty, some loosely disguised as Mohawk Indians, climbed aboard the ships and threw 340 tea chests overboard. 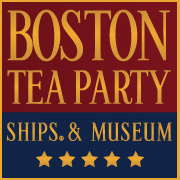 This act of defiance later became known as the Boston Tea Party. The British responded to the Boston Tea Party by passing the Coercive, or Intolerable Acts, as they were known in the American colonies. Not everyone agreed with Boston’s actions, causing the other colonies to rally in defense. Patrick Henry would give a speech in Spring of 1774 in the Virginia House of Burgesses supporting the cause of freedom, which included the oft-quoted passage, “Give me liberty or give me death.” The cause of independence was also championed in later writings, such as Thomas Paine’s 1776 pamphlet, Common Sense. Two months later, colonists fortified Bunker Hill in Charlestown. During the assault by British forces, the Continental Army soldiers were steadied with the order, “Don’t fire until you see the whites of their eyes.” A lack of ammunition forced the colonists to withdraw. It was during the battle that Joseph Warren, the physician who sent Paul Revere on his ride, was killed. 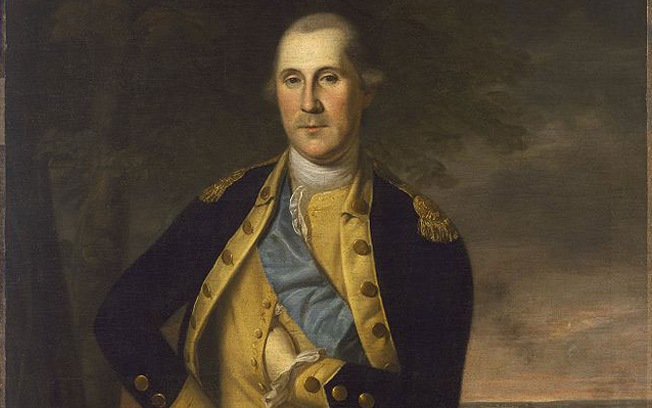 George Washington assumed leadership of the Continental Army on the Cambridge Common on July 3, 1775. George Washington, Charles Willson Peale, 1776. Brooklyn Museum. British troops finally evacuated Boston several years later. After Benedict Arnold and Ethan Allen captured Fort Ticonderoga, large cannons were transported overland to emplacements on Dorchester Heights overlooking the city. These cannons and fortifications made it impossible to penetrate the city of Boston, so British forces withdrew. Before becoming a traitor, Arnold would also rally American troops to victory at the Battle of Saratoga, which encouraged Spain to join France in fighting against Britain. As war broke out, the governments of each colony formally declared their independence. On June 7, 1776, Richard Henry Lee made a motion for independence before the Second Continental Congress. Four days later, a committee was selected to write a document explaining the reasons for separating from Britain. Congress voted to ratify the Declaration of Independence that was drafted primarily by Thomas Jefferson and prominently signed by John Hancock on July 4, 1776. The new country was called the United States of America. The victory inspired new and much needed confidence in the Continental Army that they would use the following winter when they made camp at Valley Forge. Although the army faced severe hardships during the winter encampment, they became an effective fighting force through the training they received under the skillful direction of Baron Friedrich von Steuben. At the end of this horrific winter, France signed an alliance, negotiated by Benjamin Franklin, to aid the United States monetarily and militarily. The British would evacuate Philadelphia in June 1778. Early in the war, the British controlled Charleston and Savannah. They had hoped that a strong number of loyalists in the South would rally around the Crown. Despite losing at the Battle of Camden, the Continental Army waged a successful guerrilla war against the British in Georgia and the Carolinas. Patriot victories at the Battles of King’s Mountain and Cowpens, led by Nathaniel Greene and the “Swamp Fox” Francis Marion, kept loyalists from joining British forces. This forced General Cornwallis to move north into North Carolina and finally Virginia. While the Continental Army was fighting on land, the fledgling Continental Navy was engaged at sea. Although mainly using privateers, the United States did have a few ships of its own. It was during a sea battle between his ship, the Bonhomme Richard, and the British warship Serapis that Captain John Paul Jones uttered his famous quote, ”I have not yet begun to fight,” when asked if he intended to surrender his floundering vessel. Along with the French Navy led by Comte de Grasse, naval forces helped to trap Cornwallis at Yorktown. In 1780, a 5,500-man French expeditionary force under Comte de Rochambeau landed at Newport, Rhode Island. Washington devised a plan to feign an attack on New York, which would enable Rochambeau to join forces with the Continental Army. The combined force would join with troops commanded by the Marquis de Lafayette and attack Cornwallis at Yorktown, Virginia. Cornwallis had maneuvered his forces into the Tidewater Region expecting to be evacuated by the British Navy. The evacuation did not happen because Comte de Grasse’s naval forces defeated the British fleet sent for relief during the Battle of the Chesapeake. Washington then led his combined force in laying siege to Yorktown in late September 1781. The surrender of Cornwallis and his army in October of that year convinced the British government to negotiate an end to the war and recognize America’s independence. The Treaty of Paris was signed on September 3, 1783, which marked the end of the Revolutionary War.